Are these quotes familiar to you? We all have been hearing money related quotes, sayings from elders, schools or picking up on the way from different conversations. These thoughts get ingrained in our mind and reside in subconscious, which guides investment decision or money related behavior. Further, this builds our belief system around money. But these sayings are partial and incomplete if you see both sides of our beliefs. For e.g. Money can surely grow (easily available) on trees if invested correctly. The things we buy give us happiness but that need money. Continuous saving will accumulate wealth but that doesn’t mean foregoing living today etc. There are many more saying like-Money makes one go around, money is the root of evil, A bird in hand is worth two than in the bush etc.each has two sides. My father always says, ‘It is easy to earn money but difficult to keep it or hold it’. This lesson has impact on me till date. I see this in my savings habit or spending in means. The process of investing is very unique to each individual. We are guided by our values and beliefs all through. These beliefs and values which we acquire from childhood govern our investment decision to an extent. The impact of this is sometimes positive, at times negative. 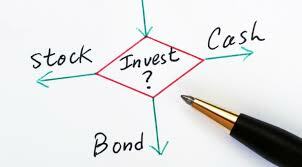 We have experienced that investor has bias towards certain asset class- be it a fixed deposit or real estate, as they have seen their parents investing or relative making fortune etc. But circumstances for you may have changed, your risk appetite with the awareness may have improved but you still stick to the same investment beliefs. The time you invest now and opportunities available may be altogether different. “Innocence works upon our lives even when we are long past early childhood”. –George Kinder. To be successful in investing we need to get matured over our innocent beliefs. In our experience investing success is mostly depend on YOU as an investor and your attitude towards investing. Availability of opportunity, having an advisor and facilitating investment is all secondary. It is time for us to visit our beliefs and internalize to check if investing attitude is in tune with your present situation. Are you stuck with old beliefs or is it time to widen the horizon? Recollect your happiest moment & painful moment about money? What are your three earliest memories of money? When and how did money first enter your relationship with your father/mother/neighbor? What all are the one-sentence lessons you learned about money while growing up? Which ideas did you accept? Which did you reject?